Sunrise over Blue Ridge Mountains, view from Courthouse Valley Overlook on the Blue Ridge Parkway in Western North Carolina. Where in the United States is North Carolina? Location map of North Carolina in the US. The US state of North Carolina is situated in the eastern central United States with a coastline on the Atlantic Ocean in east. The state is bordered by Virginia in north, South Carolina in south, Georgia in southwest and Tennessee in west. The state's nickname is "Tar Heel State". First settled by the English in the late 1600s. In 1584 Queen Elizabeth I issued a charter to Sir Walter Raleigh to establish a colony in America. The area of today North Carolina was part of the original territory of the United States. 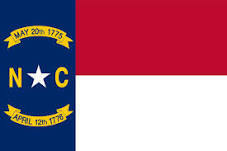 Both North Carolina and South Carolina were included in the charter that established Carolina in 1663. The two areas separated in 1712—a separation that was finalized when the Carolina Colony was dissolved in 1729. Admission to Union on 21st November 1789. With an area of 139,390 km² (53,819 sq mi),  the state is about twice the size of Ireland. 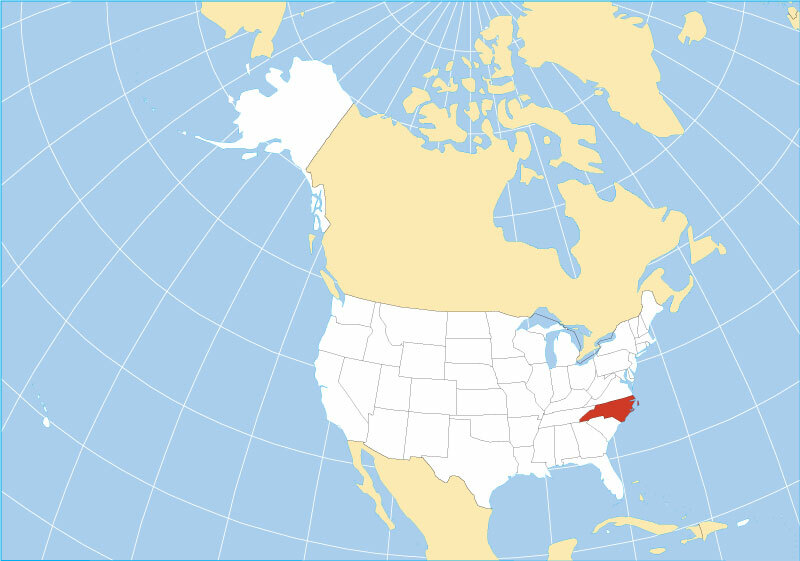 Compared with other US states, North Carolina would fit into Texas 5 times. 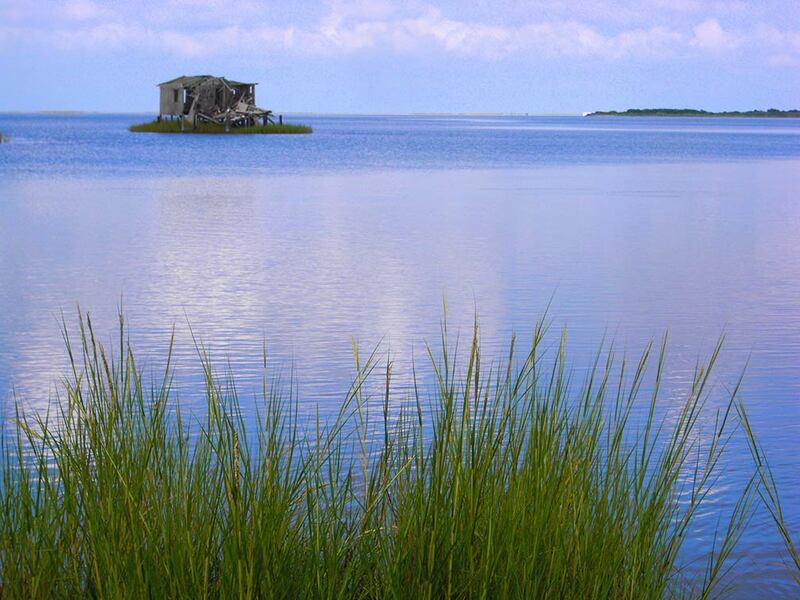 The Sound, abandoned hunting lodge near Bodie Island of the Outer Banks. The sandy islands of the Outer Banks, a 300 km long string of barrier islands and spits off the coast, separating the Atlantic Ocean from the brackish inlets and sounds of the coast. North Carolina has its share of the Atlantic Coastal Plain, the Tidewater region covers roughly 40% of the state's area. 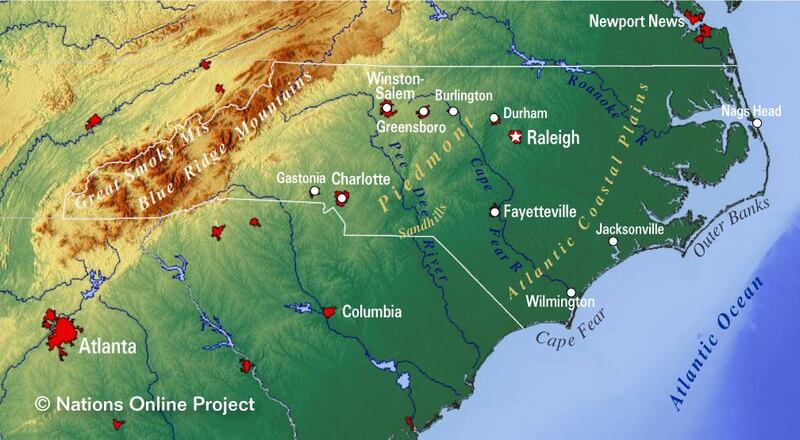 The Piedmont Plateau, the hilly region between the Atlantic Coastal Plain and the Appalachian Mountains, marked by the escarpment of the Atlantic Seaboard fall line in east that separates the Coastal Plains from the Piedmont. 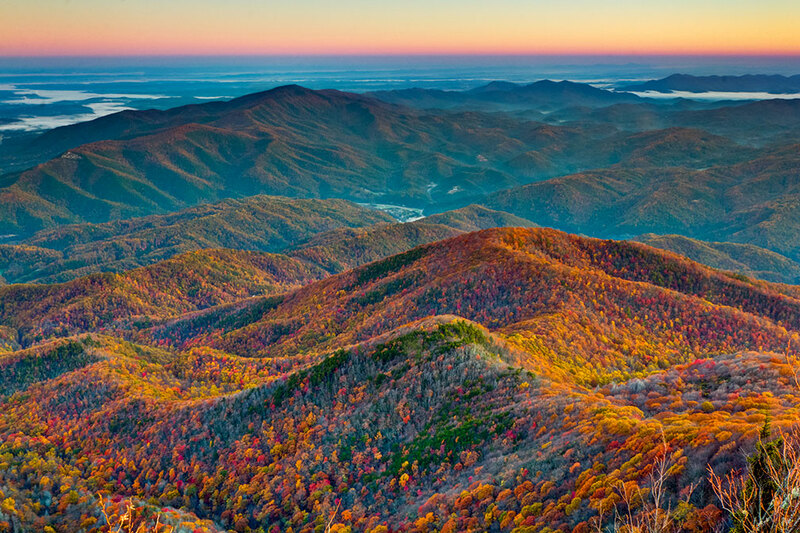 To the west of the Piedmont rise the densely forested Mountain chains of the Blue Ridge Mountains and the Great Smoky Mountains, both subranges of the larger Appalachians. Highest elevation in the state is Mount Mitchell at 2037 m (6,684 ft), the highest mountain in the Eastern United States, located in the Black Mountains, a subrange of the Blue Ridge Mountains. The Great Smoky Mountains in Haywood County view from Mt Cammerer. The Great Smoky Mountains National Park is a UNESCO World Heritage Site. North Carolina shares one UNESCO World Heritage Site with Tennessee. The Great Smoky Mountains National Park is a major North American refuge of temperate zone flora and fauna that survived the Pleistocene glaciations. The park covers an area of over more than 200,000 ha centered on the ridgeline of the Great Smoky Mountains, a subrange of the Appalachian Mountain chain. The park is home to the largest remnant of an Arcto-Tertiary geoflora that once covered the Northern Hemisphere, and it provides an indication of the appearance of late Pleistocene (Ice Age) flora. The main park entrance in North Carolina is at Cherokee, and in Tennessee at Gatlinburg. City of Asheville in North Carolina. 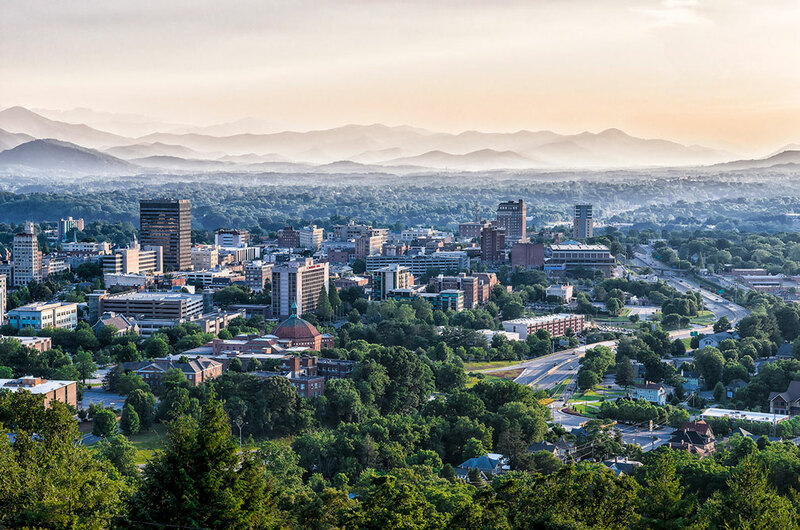 Asheville is home to the United States National Climatic Data Center (NCDC), the world's largest active archive of weather data. North Carolina has a population of 10.2 million people (est. 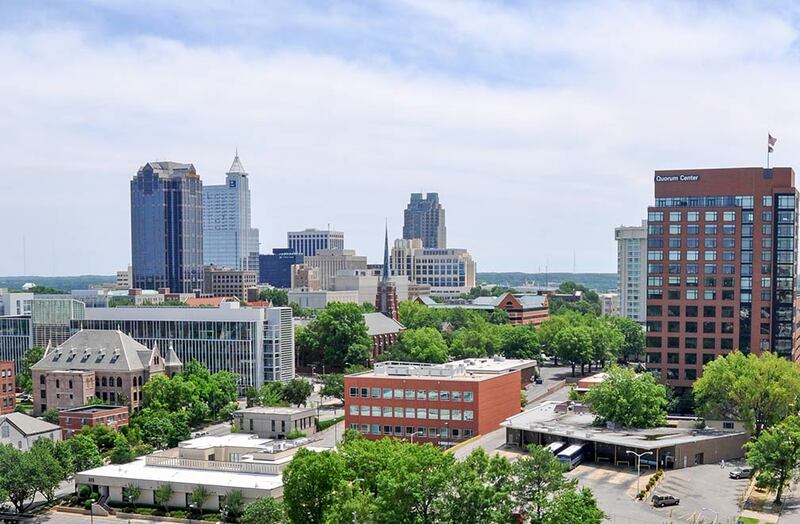 in 2018) , capital is Raleigh, largest city is Charlotte, and largest metropolitan area in the state is Charlotte metro area. By far the largest airport in the state is Charlotte/Douglas International Airport (IATA code: CLT). 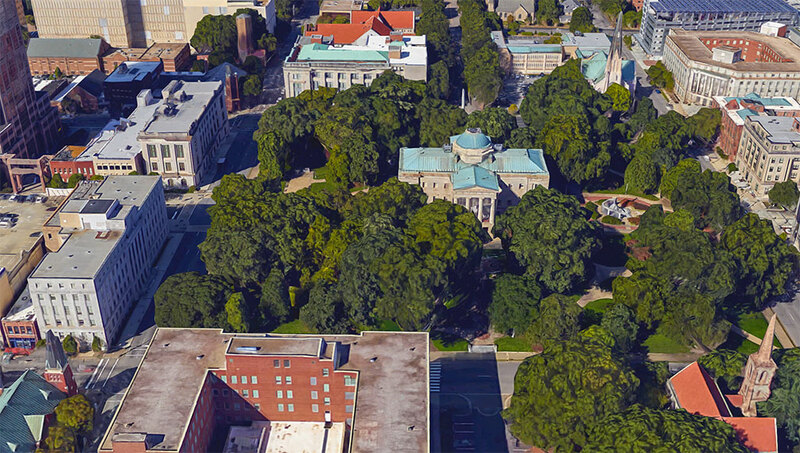 Rendered image of North Carolina's State Capitol in Raleigh. The state is part of the Bible Belt, this can be seen by the fact that there is a church on each corner of Capitol Square. Downtown Raleigh, the state's second largest city and capital of North Carolina. Shelby, Smithfield, Southern Pines, Statesville, Tarboro, Washington, Waynesville, Whiteville, Williamston, and Wilson. 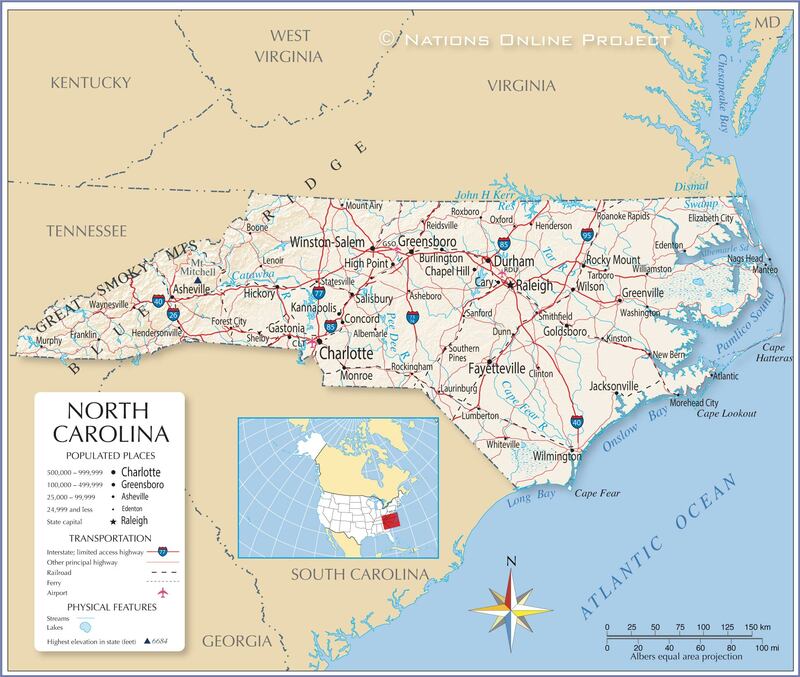 The detailed map below is showing the US state of North Carolina with boundaries, the location of the state capital Raleigh, major cities and populated places, rivers, streams and lakes, interstate highways, principal highways, and railroads.